Following Governor Bruce Rauner’s appearance at Memorial Elementary School in Taylorville on Wednesday, one downstate lawmaker provides his take on the latest in the inequitable school funding formula that has plagued school districts. 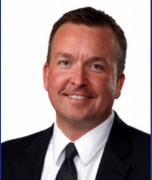 State Senator Andy Manar (D-Bunker Hill) told Regional Radio News that Rauner needs to provide leadership to solve the disparity of the outdated school funding formula. Manar introduced Senate Bill 1 a year ago and stated Rauner’s position is northern school districts have to be comfortable, before getting the resources to downstate school districts. The Taylorville School District spends about some $6,000 per student, while Manar noted a school district that eclipsed some $32,000 per student. Manar did have good news to report as fixing the inequitable school funding formula is in daily conversations in Springfield. More information can be found by going to senatorandymanar.com or ilga.gov.